"As professional timber harvesters we are deeply committed to promoting safety in the woods, and on the roads, in the hope that someday logging is not included in the annual list of 'America's Most Dangerous Professions." 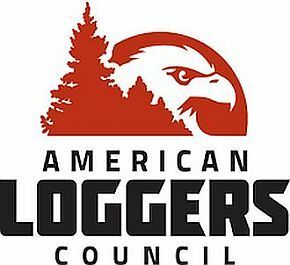 "As with many industries today, logging is facing a shortage of workers now and into the future," said ALC Executive Vice President Daniel Dructor. "It will be increasingly difficult for our industry to meet the strong domestic demand for lumber, paper, and other wood products essential for our nation. The Future Logging Careers Act is one solution will help the logging industry meet its future workforce needs while supporting small, family-owned businesses." Dructor said the Future Logging Careers Act would extend an existing agricultural exemption, now enjoyed by family farmers and ranchers, to enable family-owned logging businesses to train their sixteen- and seventeen-year-old sons and daughters in mechanized timber harvesting. The exemption would ensure that the next generation of mechanized timber harvesters can gain the needed on-the-ground training and experience under the close supervision of their parents who have a vested interest in their children's safety and in passing down the profession to the next generation. "Like farming and ranching, the timber harvesting profession is often a family run business where the practice and techniques of harvesting and transporting forest products from the forest to receiving mills is passed down from one generation to the next," Dructor said. "Timber harvesting operations are also very similar to family farms with sophisticated and expensive harvesting equipment that requires young family members to learn how to run the business, including equipment operation and maintenance, prior to reaching the age of eighteen."